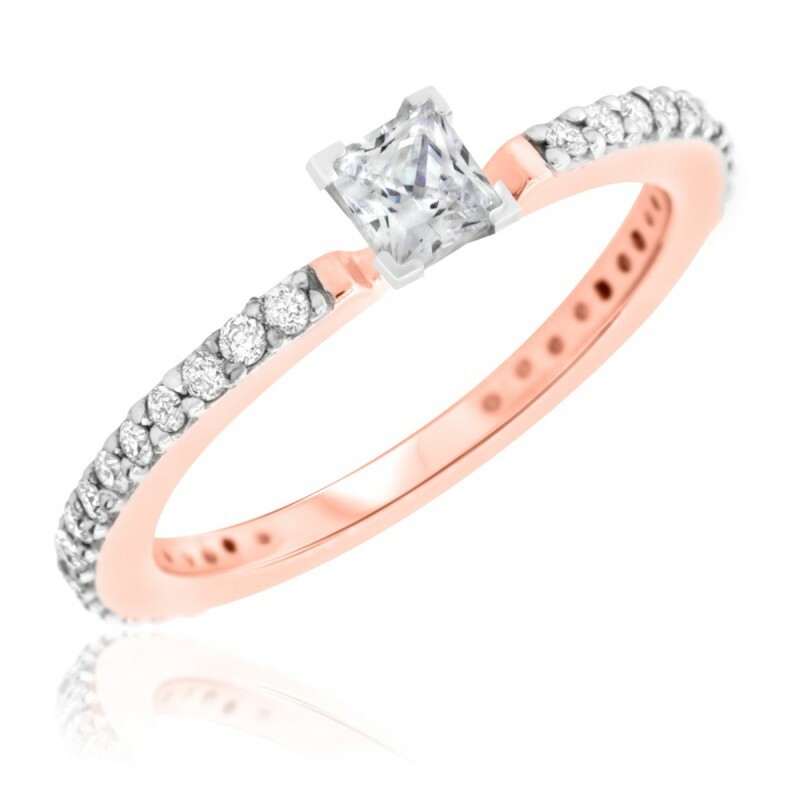 Engagement ring featuring a conflict-free, natural, princess cut solitaire diamond center stone, weighing 1/3 of a carat in H/I Color and I1/I2 Clarity. 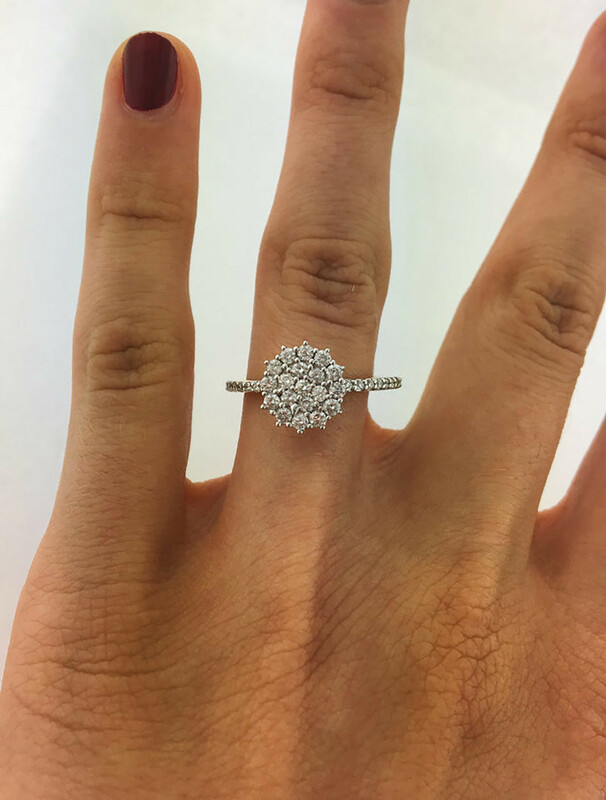 This glorious ring offers the beautiful simplicity of a classic Princess Solitaire center with added brilliance through diamonds set into the band. 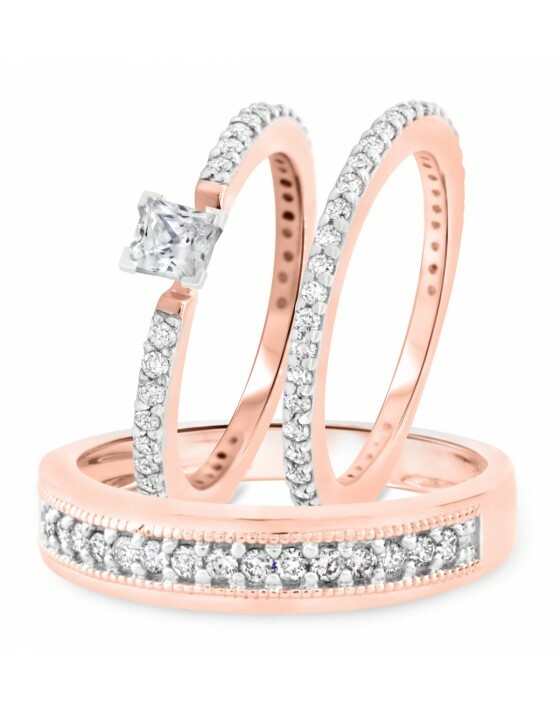 The Princess Solitaire center shines brightly in its place, set apart from the rest of the band so it can show off its brilliance. 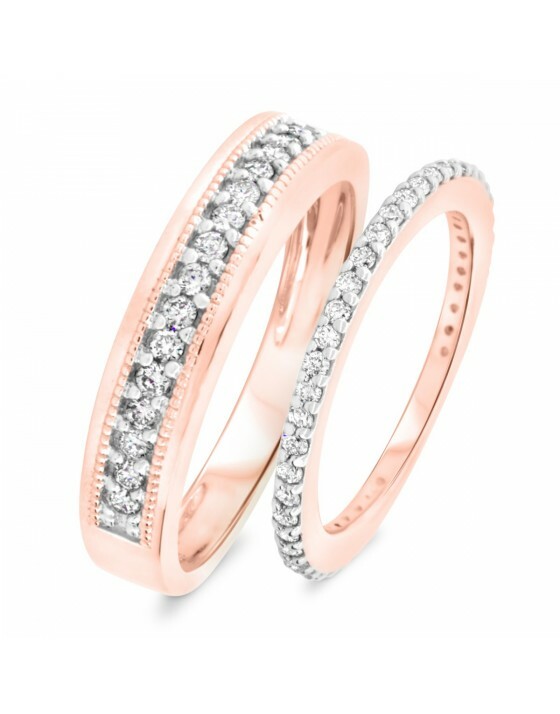 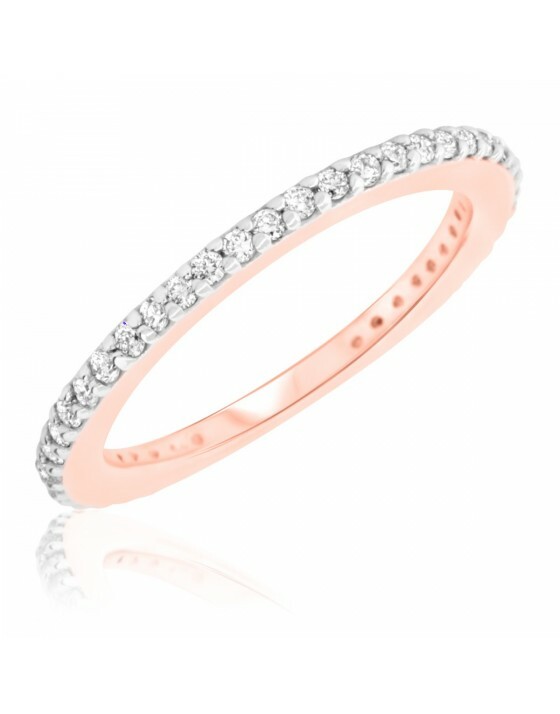 Additional side-stone Princess and Round Cut diamonds fill the entire width of the band, sparkling to enhance the look of the whole ring. 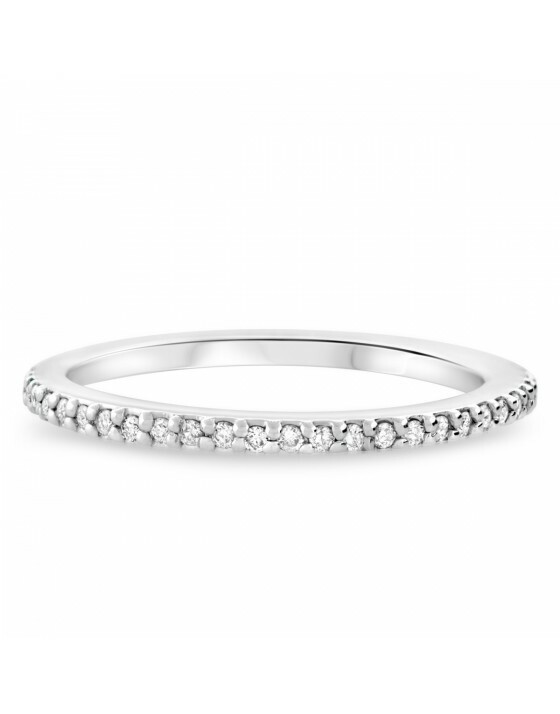 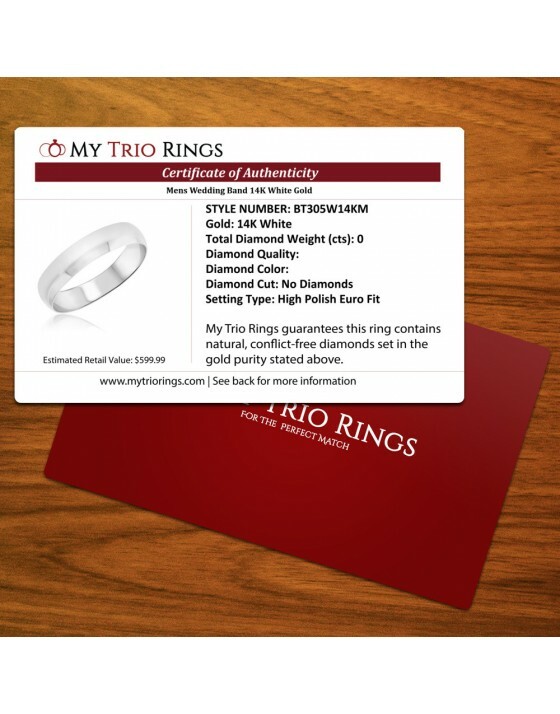 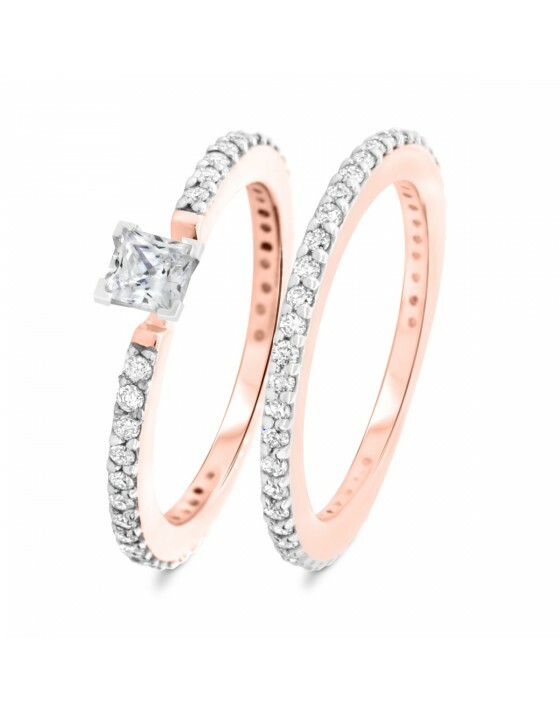 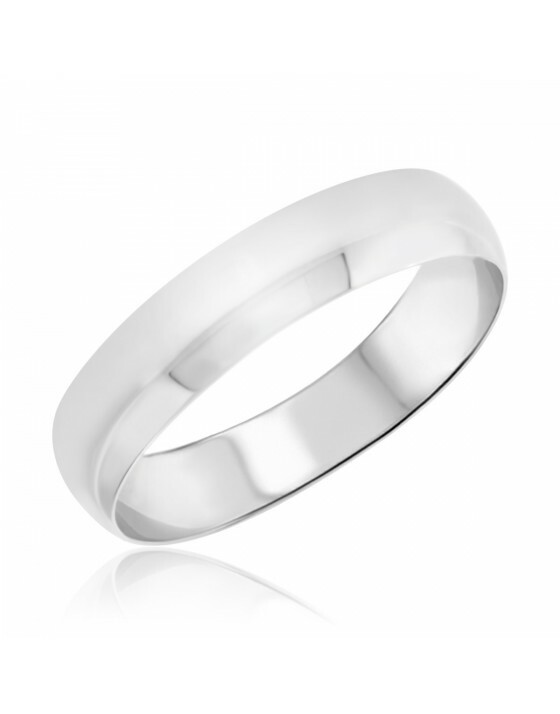 This ring fits a matching wedding band in the bridal set.